Our life path moves us irrevocably though circuitously towards greater and greater demonstrations of personal excellence. This arises through the twin processes of becoming increasingly aware of our given potential and the refining of that raw material into even more impressive shining facets. Whatever is going on for us psychologically is given physical form in the immediate circumstances of our lives. In fact nothing else is. What we see happening around us is who we are. We must not get confused about which aspect of this is cause and which is effect – we are the cause; the effect is the outer reality. We determine what we value in our everyday lives, to the level of preservation and cherishment, according to the value within ourselves. A writer will treasure a piece of their succinct, inspiring prose, a traveller will have photos of places, and a mother will love her children. Typically what we most appreciate is a reflection and measure of the effort expended in our achievements. These tokens of effort give durability to what otherwise would be painfully ephemeral. 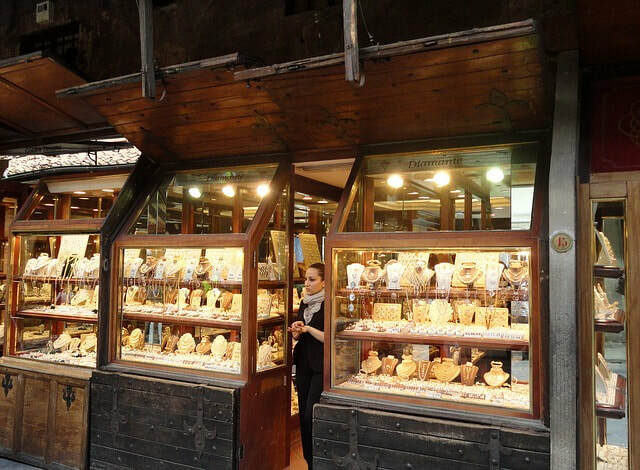 We want to preserve what has been important to us – and a jewellery shop very often helps us to do this. It is the glory of this world that it has the capacity to reproduce an unlimited kaleidoscopic range of phenomena to illustrate, through physical embodiment, what is going on in our minds. So we always tend to seek out that which can shape our vision within a larger dimension. It is useful sometimes to project a clear strong statement of worthiness into our community – “I can afford gold, take me seriously!” The inclination we have to direct our aspirations towards non-trivial expression is in line with our sense of self as worthwhile, and somehow a seeding of something eternally valid and consistent. Naturally this healthy and growthful experience is subject to distortion if its subtlety is lost – so we must remember that the abuse of this principle will have unwanted consequences. Greediness betrays the soul in its quest for false gold; fame and fortune are poor substitutes for a sense of one’s spiritual well-being. Luxury can be evidence of great success as we develop skills and character. Our joyful experience of abundance comes as we participate in fair rewards for our integrity – the alignment of body and soul in the pursuit of meaning and happiness.